After a string of dropped passes and opportunities, Lance Kendrick is finally starting to put things together, quietly turning into a reliable blocker and receiver. It hasn't been an easy road for Lance Kendricks so far this year. 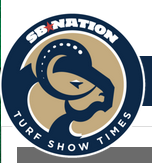 He was expected to be a primary target in Brian Schottenheimer's offense; merely as a Dustin Keller clone if nothing else. 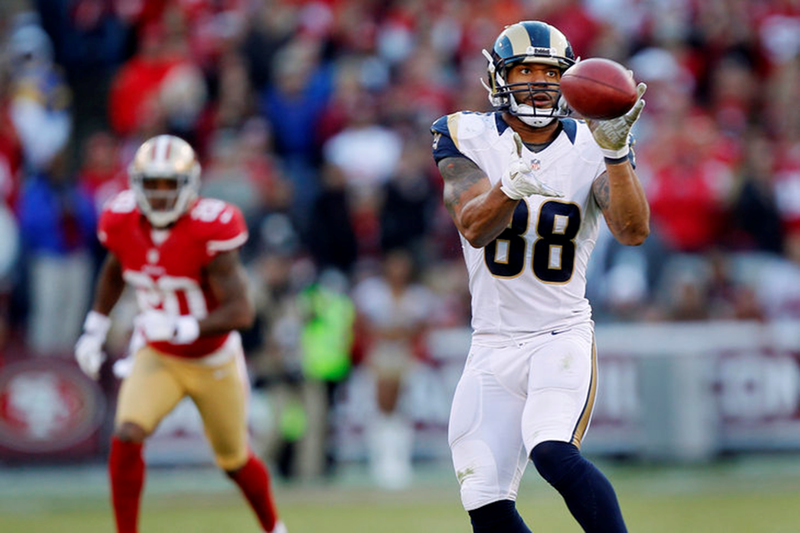 At first, he struggled with catching the ball, souring his chance to become a legitimate threat for Sam Bradford. After looking at that table, you'll notice one thing- he really didn't do much in the first quarter of the season. Ten receptions for 88 yards off of 15 targets. Besides the Chicago game, he had a mere two targets every game. That isn't exactly someone who is featured prominently in the offense. Sure, he only had three more receptions (in one less game), 13 to be exact. Sure, he only had 125 yards (again, in one less game). Not only that, but he's getting nearly twice as many looks per game. This is a bang, bang play. Kendricks snags the ball, secures it, and then proceeds to get hit hard. This is by no means an easy catch, but he hauls it in anyway. These are the type of plays that drive the offense. Not every play has to be a home run, but when you have a tight end who can block, allowing the team to gain good yardage on the ground, then go out and snag a 17 yard completion, you have the makings of a dangerous offense. Kendricks is tall, strong and athletic. If he's a reliable option in your passing game, that creates mismatches. Mismatches are good. While he isn't blowing up the stat sheets, 30-50 yards per game (480-800 yards a season for those wondering what a whole year would look like) is impressive for a second year tight end. 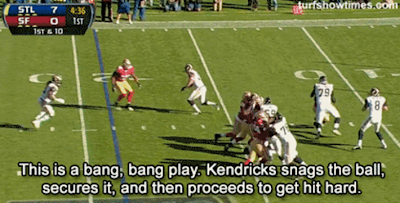 It's even more impressive when you consider how stellar Kendricks has been while blocking. Check out his kick-out block against the 49ers, which helped propel Darryl Richardson to the longest run of the day (by either team, no less). His block isn't the most dominating performance (from a visual perspective, at least to me), but it's clearly the best on the right side. It's also arguably the most important, because it allows Richardson to hit the hole at full speed, clearly his greatest strength, maximizing the run. It's fundamental, unsexy football. Make your blocks, catch passes. 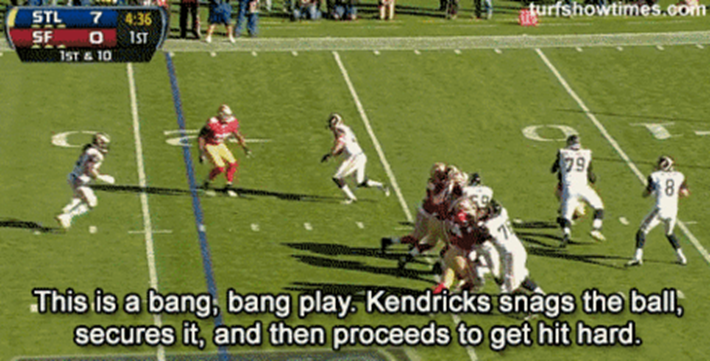 Kendricks has been doing both of these things well in recent weeks. If Kendricks doesn't make that block, then Richardson doesn't get that 32 yard run, period. Plays like this add up. I know it doesn't look like he's playing up to his second round status, but he's making the most out of every play, catch or not. He also had a crucial block during Steven Jackson's touchdown run. People say the blocking isn't enough to justify his high draft pick, but they may want to think about it again after realizing how much he helped the team against the 49ers. He may not be a top ten receiver like Danny Amendola, but his blocking ability and occasional receiving skills (that have markedly improved) have made him a reliable #2 option for Sam Bradford. You won't be confusing him with Jimmy Graham, but make no mistake, Kendricks is a featured member of this offense. The trouble is, you just don't realize how much of an impact he really makes.